Another Original Blog: The 'Pot Black' nostalgia train. The 'Pot Black' nostalgia train. It's snooker time again, and with it, a license to sit on my arse, motionless and slack jawed.....for hours on end. It makes a welcome break from not watching snooker, sitting on my arse, motionless and slack jawed.....for hours on end. Jimmy White is currently sat (pre-recordedly) in a white room reminiscing with his old mate John Virgo about the good old days when drinking was was merely a precursor to breaking off. There are with no sharp objects, it's like a joint self-harming/alcoholics anonymous meeting. I genuinely had to check Google to make sure there wasn't a legitimate reason why I shouldn't make make fun of the state 'JV' was in. On monday afternoon's pre-match interview, I thought he'd been possessed by the pissed-up spirit of Alex Higgins, recreating Jim Davidson's impression that was rolled out on every other episode of 'Big Break'. Impersonating a raging alcoholic, (incubating a disease that would eventually help kill him off) on a primetime slot on the BBC? You wouldn't get away with that now. Although if you had tried to empathise with Alex Higgins and inform him of his human rights, he'd probably tell you to stick your political correctness up your arse, before nutting you, taking another swig and knocking in another century break whilst you lay on the floor, knocked out. I admired characters like him. Staggering yet swaggering around the table like an uncanny early depiction of Captain Jack Sparrow, whilst still managing the precision and concentration it takes to pot a snooker ball. What a legend. I love snooker. I love Jimmy White. I love John Virgo. Just thought I'd make it abundantly clear that I LOVE SNOOKER. But it's not been lost on me that every tournament is an excuse to roll out the old footage and talk about the 'golden era'. It's the only institution that misses the 1980's more than The Conservative Party. It makes a Hovis advert look like cutting edge contemporary advertising. I also love it when they go to John Parrot or Steve Davis in the venue's foyer (this week being Ally Pally) for a snooker lesson. Although it seems the dregs of society are still struggling to find their way out after the PDC darts final, given that much of the gathering pack there is a stark reminder of how broken Britain has become. I find myself bracing myself for a "f**k her right in the p***y" belted out by someone, just as Parrot gives us a lesson in how to follow through correctly. I love the nostalgia too, but when the snooker is on it's shoved down your throats to such a degree that you'd almost be forgiven to think that the game was a thing of the past. Talking heads constantly droning on about a terminal decline. As I look up, the place is full, on a windswept January monday, and it's only the first round! Ok, Ronnie is playing, but it goes to show people still love it as much as I do. All this talk of using different formats to engage people in snooker and make it more exciting are quite depressing too. On one hand we're told that it's a growing sport, mainly in china....on the other, we're being prepared for a combination of PDC Darts and 20/20 cricket. I struggle to see how snooker, where concentration is vital, can benefit from strippers hanging from the light fittings whilst 'I love rock and roll' blares out of the sound system whilst JV necks another bottle of Absolut in the corner whilst Steve Davis does his best to fit into the new surroundings by taking his tie off and smiling awkwardly into camera. I've been watching snooker for as long as I remember. I was a regular kid, I liked running about, playing football, guitar music, 80's childhoods were mayhem compared to bedroom exiled yoooooouths of today, although you can understand why they choose to keep their heads down when even the slightest sign of excitement gets you diagnosed with ADHD. Yet, I never thought, "do you know what? I could really relate to this game if there were only a group of cheerleaders and a jukebox in the corner". I loved it, not just the excitement, I loved the slogs too.....the safety, the . Cliff Thorburn was revered as "The Grinder". If you were looking for a modern day equivalent, you'd probably choose Peter Ebdon. The difference between them was that Cliff, despite his dreary approach to the game, had personality, people loved him. There's a time and a place for everything and I wish they'd stop treating us all like neanderthals who, without noise and confusion, will just decide to switch off. That said, snooker was pretty rock and roll back then. Maybe they should just put into the players contracts that they need to neck a pint per frame, Bill Werbeniuk style. At least JV wouldn't look so conspicuous. Ultimately though, you get what you pay for. If you don't like it, watch something else. You could invent a new league of 'Russian roulette snooker' where the referee holds a revolver to your head and if you take more than 4 seconds to play your shot, he pulls the trigger. I was going to suggest when you missed when playing a pot but then, you'd end up with nobody even taking the chance to pot a ball and ending up just recreating billiards. 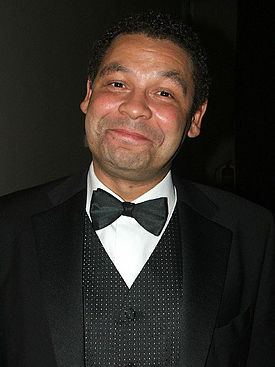 I think the best way to make it more interesting, might be to introduce Craig Charles as the main commentator. Look what he did for Takeshi's Castle. Imagining the infinite plethora of double entendres he could conjure up with all those balls, holes and potential "comedic" racial slurs using the colours. "Following through" (already skillfully used in this blog as a prime example, I thank you), "stroking his cue", "damaged his tip", "penetrating shot", "potting the pink"....at al......he'd be in his element. Every time a player leaves the auditorium after a frame, we'd be informed said "smeghead" was "GOING FOR A WAZZ!". How about WWE snooker? SNOOKERMANIA!!!! They already have their own nicknames. Barry Hearn would barely need to exaggerate is persona to play the part of Vince McMahon (he'd bloody love that), it's written in the stars! You could tag-team your way to victory. Struggling with your safety play? Draught in veteran Steve 'Interesting' Davis. Snookered? Call on Alan 'Angles' McManus. Need a drink? Get John 'Shaky Hands' Virgo to get a round in. You could end up world champion, barely having to play a shot....you could commentate on your own matches. I think we can all agree, I've come up with a blueprint that has secured the future of snooker. Now if you'll excuse me, I'm about to tweet Barry 'Big Balls' Hearn with the idea. *As I finish, Ronnie just knocks in a record equalling century break in the most ridiculous manner possible (last frame, massive fluke on the yellow and ruining Stephen Hendry's birthday in the process). It just encapsulated everything about him.....I'll have to dedicate a whole blog to get across how much I love that guy. Absolute genius. Snooker needs him, a little too much. The adulation he receives is completely deserved.